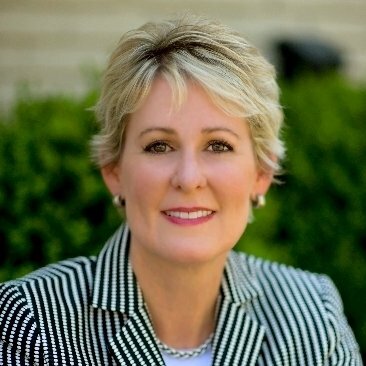 Hilarie is a Senior Vice President with BancFirst. Her clients include high net worth individuals, businesses, commercial and consumer real estate. Her expertise includes advising medical students, seasoned physicians, small businesses and large corporations in all facets of money management. In addition to her banking expertise, Hilarie holds certifications from The Protocol School of Washington® in Washington, D.C. PSOW is the only accredited etiquette school in the U.S. Hilarie holds certifications in Corporate Etiquette, Business Image, International and U.S. Protocol. Hilarie is an award winning civic volunteer receiving the Paragon Award from Leadership OKC, Sustainer of the Year from Junior League of OKC, and Pi Beta Phi Crest Award. Hilarie is a founding member of Impact Oklahoma, Inc., and was appointed by Former Governor Henry and Governor Mary Fallin as a trustee of the Oklahoma Student Loan Authority. What is your business? 40 Year–Commercial and Private Banking Lender and Corporate Etiquette, US and International Protocol expert, certified by The Protocol School of Washington. Why did you decide to do the work you do? I needed a job in college and immediately loved banking where I especially enjoyed helping women with finances. As for my etiquette work, in my business career I have seen such a need for training that I was drawn to it. It was a natural for me because I grew up with a Brigadier General father and my family lived overseas in the military, therefore I was well traveled and interested in international customs. Finally, I worked in the Oklahoma Senate, US Senate in Washington and had a love of politics and protocol. What is your ideal customer? Everyone, I handle small business, families, corporations, professionals and executives and enjoy the financial puzzles I am given for all individuals or companies. Advice is my passion! What is it that your customers or clients really want? Quick response, correct work and swift handling of mistakes. What are you known for? Being honest. What do you love about what you do? Navigating the financial world. When you aren’t working, what are you likely to be doing? Doing something for someone else! What are you reading now? “A New Earth” by Eckhart Tolle, again. What is the coolest app you are using? Instacart!!! Do you have a favorite “life hack?” If you think something bad is happening, it usually isn’t, something better is coming. What was your latest “Aha!” moment about? My friend and Posse member, Ginny Carl gave me the calendar You are a Badass! Each day is an Aha! When was the hardest time in your life? Last week. What do you get from your Posse or Tribe that you don’t get elsewhere? Understanding, honesty, encouragement, support, friendship, advice, creativity and more. What were you doing the last time you laughed your head off? Laughing at Robyn Healy and Ginny Carl in Posse. If you could turn any activity into an Olympic sport, what would you have a good chance at winning medal for? Asking questions. What do you consider your best find? Kevin Blaney, my husband. How do you relax after a hard day of work? Wine and cooking. If you were a crazy dictator on a small island nation, what dictator stuff would you do? Make everyone be nice, eat healthy food, exercise and read good books. When people come to you for help, what do they usually want help with? Money. What is worth spending more on to get the best? A marriage. What’s something you’ve been meaning to try but just haven’t gotten around to? Play golf. What do you want your epitaph to be? Probably what Harry Truman said, “I never gave anyone hell, I just told the truth and they thought it was hell.” AND, she will be late to her own funeral! For more “Cool” profiles, visit us here.